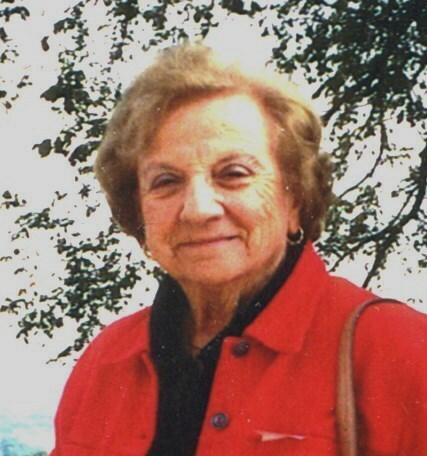 Rose M. Pugliese, 95, of Providence, passed away suddenly on Monday, January 14, 2019 at home. Born in Haverhill, MA, she was the daughter of the late Rocco and Maria (Esposito) Barone. Rose was known for her academic excellence which led to a life-long career with the federal government. She started at age 18 in Washington, DC at the Office of Strategic Services. She then worked at the Office of Veterans Affairs and finally the Social Security Administration in Providence where she retired at age 78. In every capacity, she was known by her strong work ethic, sense of duty and tradition. She took great pride in her appearance and in maintaining her home. Her greatest joy was spending time with her family. She is survived by a son, Louis J. Pugliese; three daughters, Alix Stockwood, Maryanne Warren and Claudia DeCesare; a sister, Edith Barone, nine grandchildren, 8 great-grandchildren, and her cat, Jack. She was the sister of the late John Barone and Mary Gentile. Her funeral will be held Saturday, January 19, 2019 at 9 am from the Maceroni Funeral Home, 1381 Smith St., North Providence, followed by a Mass of Christian Burial at 10 am in St. Pius V Church, Eaton St., Providence. Burial will be in Swan Point Cemetery, Providence. Visiting hours are Friday from 4-7 pm. In lieu of flowers, donations in Rose’s memory may be made to the Salvation Army, 386 Broad St., Providence, RI 02907.